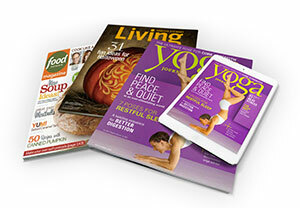 Your library has partnered with Zinio to offer over 100 digital magazines for you to read on your computer, tablet or mobile device. To use this service, you need an active DBRL library card. Adults can apply for a card online. Multiple readers can check out the same magazine at the same time, and you can keep issues on your computer or mobile device as long as you wish. This service is PC and Mac compatible. An app is available for most mobile devices. To access digital magazines through the DBRL collection, patrons must always first go to the DBRL digital magazines page to browse and subscribe to magazines (the DBRL collection cannot be accessed by going to the main Zinio site initially). The Zinio Reader App cannot be used to check out magazines. Browsing the collection and subscribing to magazines must be done using a web browser on a computer, tablet or mobile device. For more help, check out the Frequently Asked Questions. The Zinio service is available to patrons through the generosity of the Friends of the Columbia Public Library.